Find My Workspace lists over 95% of the business centres market in Herne Bay. Simply click Request Quote to check pricing for one office, or Add to Basket for multiple offices. 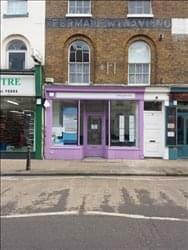 This centre is situated just few minutes’ walk from station and bus garage extremely close to all other high street retails shops, banks, and close to beach. Canterbury is only a 15-minute drive away. Plenty of free parking’s always available. You can have your own private desk, drawer and filing cabinet and would suit starter business, medium size or freelancers. You would also get benefit from our business customers and walk-in customers. 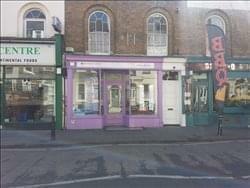 Shop has a good display facility and are equipped with broadband, CCTV etc. Meeting room facilities are also available. Shared kitchen and toilet facilities are available (we share the property with just one other business). This workspace offers you your own private desk, drawer and filing cabinet and would suit starter business, medium size or freelancers. Premises is equipped with a meeting room, shared kitchen, 24-hour access, fully furnished and on flexible terms. There are also a number of free off-site car parking spaces.